Back in 2013, I posted an electronic Pilot Logbook Template for others to use as I had trouble finding a good version for myself. As a UAS pilot, I also found the same problem… so, here is a digital UAS/Drone Pilot Logbook Template. I also included sections for recording your UAS Information as well as a Maintenance Logbook. Back in 2013, I posted about Cloud Security and the importance of strong passwords and multi-factor authentication. This has been increasingly important and if you have not enabled multi-factor authentication on your online accounts, please get this done! 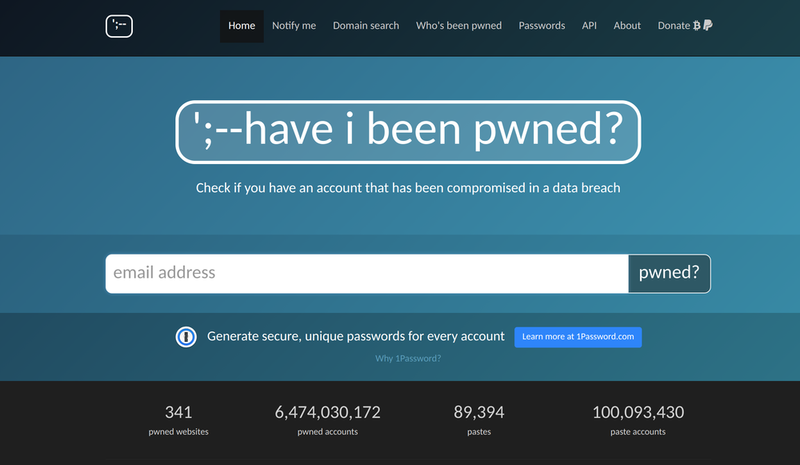 There is a site available to you to check to see if your email or passwords have been compromised; https://haveibeenpwned.com. There is also an updated list of compromised sites. ';—have i been pwned? is a free resource for anyone to quickly assess if they may have been put at risk due to an online account of theirs having been compromised or "pwned" in a data breach. Thanks to Troy Hunt, a Microsoft Regional Director and Most Valuable Professional awardee for Developer Security, blogger at troyhunt.com, international speaker on web security and the author of many top-rating security courses for web developers on Pluralsight. The purpose of Client Tell is to spotlight the groundbreaking work of our clients, and to help businesses learn from and connect with each other. This time we talked with Raleigh entrepreneur Van Murray to hear how his business, AppSmart, is leading the industry and providing best-in-class tailored IT solutions for businesses. Solid partnerships are foundational to AppSmart’s operations. A big focus is put toward training and recruiting new partners who can offer the cloud and its apps to their customers, making it easier to sell software and technology. “We offer on-boarding, support services and consolidated billing along with our products, and of course we handle all the migrations for our customers,” Van said. AppSmart’s target partners are technology firms selling anything from internet bandwidth to cabling, marketing and consulting services. Today the company serves about 1,500 organizations in the United States and around 150,000 people under management. It’s quickly becoming the world’s leading marketplace in powering the digital economy. To learn more about AppSmart, visit appsmart.com. NeoCloud, a Raleigh-based firm that provides management of cloud computing services for a growing number of customers, is getting bigger through an acquisition. The emerging entrepreneurial company on Thursday disclosed that it had acquired Business Intelligence 101, or Bi101, which is based in Livermore, Calif. The deal means an immediate boost for NeoCloud. The acquisition, which closed earlier this month, adds “more than 350 of Bi101’s customers to its client portfolio, growing [NeoCloud’s] customer base by approximately 30 percent,” a spokesperson for the company says. Bi101 will continue to offer financial consulting servies as a standalone entity. NeoCloud offers identity management, servers, voice solutions, data migration, email, security, website hosting and 24/7 support.